Let SERVPRO of St. Cloud help you! Be prepared for a fire! 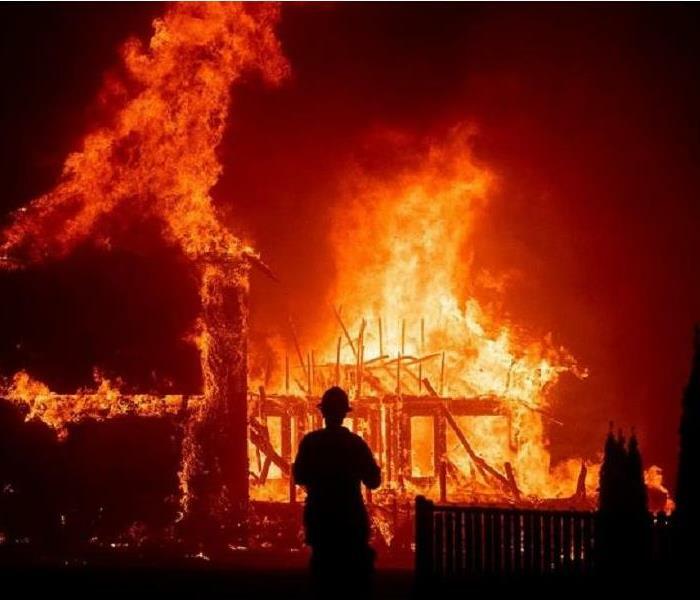 Fires can be one of the most emotional experiences that comes with an overwhelming amount of questions. Due to this, it makes it tough to know what the next step is. Who do you call? Where do you begin? Is it safe to go back in the house? Unfortunately, the questions are endless during the tough time. This is the time to reach out for help, you are NOT in this alone. SERVPRO of St. Cloud is here to make the process hassle-free. Let SERVPRO of St. Cloud help you during this difficult. We will respond in a timely manner to get the clean-up and repairs moving. Our goal is to get you back to normal as quick as we can. 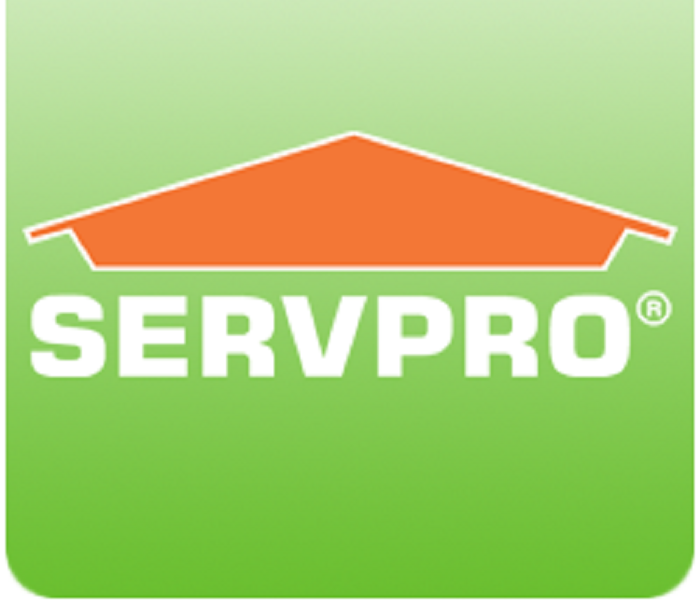 If you ever experience any fire, water, or mold damage call SERVPRO of St. Cloud at (320) 248-5400! Call SERVPRO of St. Cloud for all restoration matters! Call SERVPRO of St. Cloud as soon as water damage is discovered! Experts have concluded that the first 24 to 48 hours after water damage are the most critical. This time frame is the most critical to help the prevention of permanent damage and growth of mold and bacteria. Proving the importance of getting the SERVPRO of St. Cloud team out to the scene in a quick time manner. When the SERVPRO of St. Cloud team arrives they will assess the extent of the water damage, and begin the process of removing all water and drying the affected area. Doing this in a quick manner will decrease the extent of damage caused by the water issue. Even though doing this in a quick manner will decrease the extent of damage, SERVPRO of St. Cloud will take moisture readings. By taking moisture readings we will be able to ensure that all areas are dry before moving to the repairing stage. Every step that we take will be to help decrease the amount of repairs that need to be done. However, if repairs are needed, SERVPRO of St. Cloud is able to complete these repairs due to having an in-home construction business. This is a great added feature that SERVPRO of St. Cloud has, making us a one-stop shop for all matters needed after water damage has occurred. In conclusion, SERVPRO of St. Cloud is available 24/7 to make sure this happens in a quick manner. They understand the importance of time in all restoration matters. If you are ever to experience any damage that needs the assistance of SERVPRO of St. Cloud’s restoration expertise, CALL US! We can be reached at (320) 248-5400 anytime! Enjoy the spring weather while taking prevention steps! Keep an eye on your home! Today, March 20th, is known as the first day of Spring. 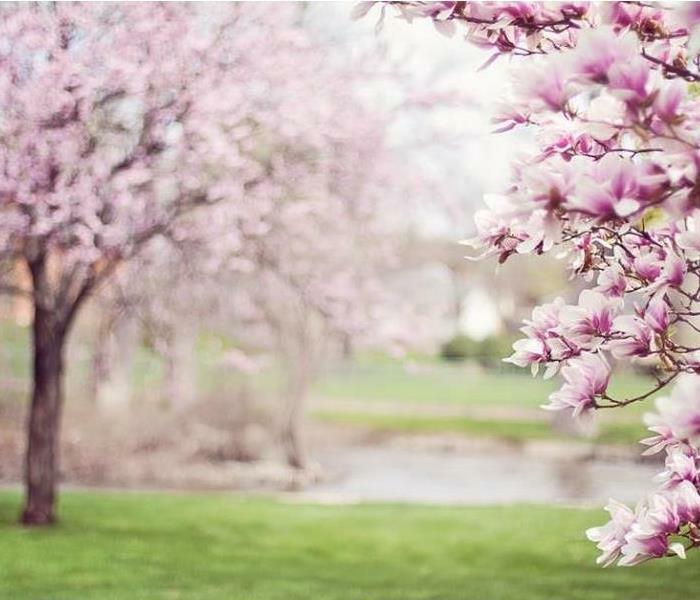 Spring means that the new leaves and flowers will begin to grow, the temperatures and daylight hours will begin to increase as the days get longer. This also means that the left-over ice and snow will begin to melt. With the sudden change in increasing temperatures, one needs to be on the look out for flooding. There is a larger chance of flooding now due to the sudden change. The sudden change from freezing temperatures to increasingly warm causes freshet flooding. Freshet flooding is known as a large amount of flooding caused by rapid snow melt that has no where to go due to the ground still being frozen. Therefore, one should always be checking the lower levels of their house to make sure that flooding is not occurring. 1. Call SERVPRO of St. Cloud at (320) 248-5400 - Who will perform all the necessary steps! All of the steps mentioned above are to help prevent matters from occurring but are not a guarantee. If an event does occur, SERVPRO of St. Cloud will be ready to help! We are available 24/7! Reach us at (320) 248-5400! Check your checklist off - Enjoy your vacation! 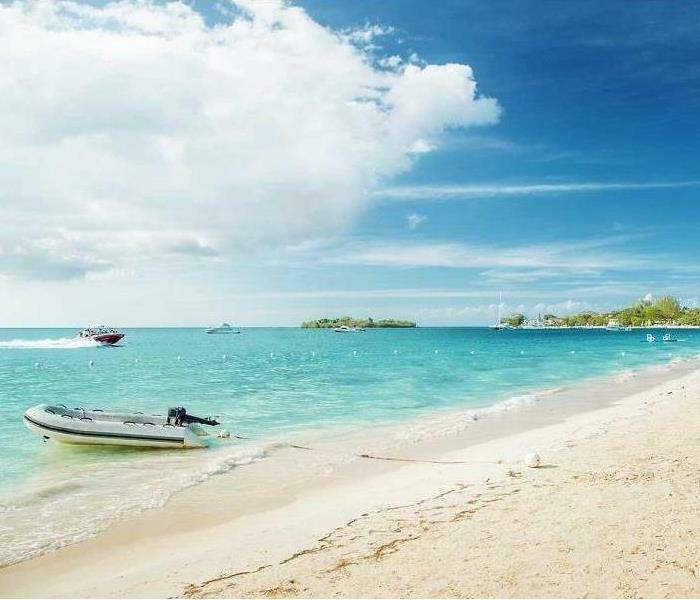 It is that time of the year when everyone wants to escape the cold, and head to warmer weather. You have booked the trip, found the must-see attractions, and charged the electronics! It is time to head to the airport. But before you leave, make sure your house is ready for you to leave! In order to ensure that your house is going to be the way you left it when you return follow these easy tips! One should turn this off to avoid water damage if a leak is to occur while on vacation. Unplugging the electronics that will not be in use while you are gone will save you money on your electricity bill - will also help prevent an electrical fire. By pouring this it will help with clear clogs and keep a fresh smell. Knowing what your insurance policies are will save you the headache when you get home if something does occur. Once your checklist is all checked off, head out and enjoy that warmer weather on vacation! All of these are tips that can help prevent matters from occurring, but are not a guarantee. If an event is to occur while you are gone, SERVPRO of St. Cloud will be ready to help! We are available 24/7! Reach us at (320) 248-5400! 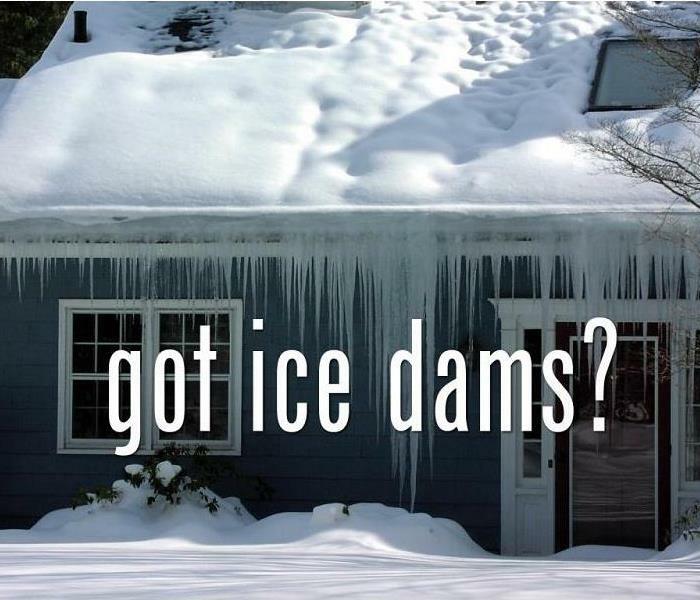 Prevent those ice dams from causing damage! An ice dam is a ridge of ice that forms at the edge of a roof and prevents melting snow (water) from draining off the roof. Water back ups behind the dam which can cause leaking into a home. When this happens it causes damage to walls, ceilings, insulation, and other areas. The key to preventing the ice dams from occurring is to keep one's attic and roof cold. This is the key to preventing it because when it is warmer in spots on the roof it will cause the snow to melt. The melting snow then runs off the edge of the house which is still at freezing temperatures causing the icicles to form. Measures to help keep one's roof colder are to close the attic bypasses, measure the attic insulation level, and add roof and soffit vents. The average home loses all of heats through the ceiling into the attic. One can prevent this by plugging the leaks using foam. Building codes require about 12 to 14 inches of fiberglass and cellulose. One should be adding more if there is less than 8 inches, and have had ice dam issues in the past. The minimum ventilation area should be about 1 square foot of vent per 300 square foot of ceiling area. One can never have too much ventilation. Taking these precautions unfortunately cannot guarantee that the ice dams will not form, but taking these steps will help prevent it. Should you suffer any damage, contact SERVPRO of St. Cloud 24 hours a day at (320) 248-5400! SERVPRO of St. Cloud would love to help healthcare facilities! Healthcare facilities are everywhere, and are always helping others. They are able to help so many people because they understand the importance of fast response. SERVPRO of St. Cloud is dedicated to helping others as well whenever and however we can. We also understand the importance of fast response. The solution that we have to fast response is the 1-4-8 program. The 1-4-8 program represents contacting the customer within 1 hour, beginning the work within 4 hours, and providing information and initial estimates within 8 hours. All of this can be completed when there is strong communication on both ends of the business. 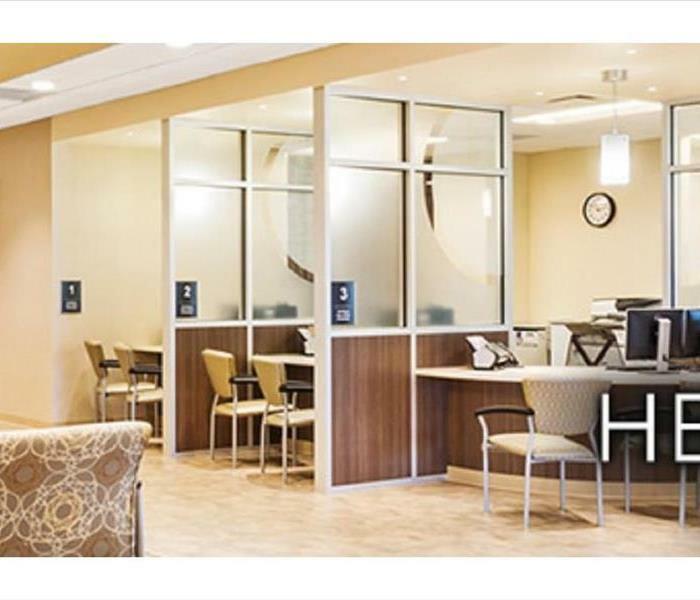 We can help healthcare facilities in numerous ways. The main ways we can help them are in restoration and cleaning services. These are some of our services that we offer and specialize in when it comes to healthcare facilities. Call SERVPRO of St. Cloud if you ever find yourself or business in need of any of these services. We would love to help, and can be reached at (320) 248-5400! ?Act now before it is too late! Want your business to be prepared in an emergency situation? SERVPRO of St. Cloud is dedicated to helping others when they are in an emergency situation. We are also dedicated to helping others before an emergency. SERVPRO of St. Cloud helps others before an emergency by going into businesses and creating an ERP. An ERP, Emergency READY Profile, is created by gathering information and documents that will be critical when an emergency occurs. We will also tag the businesses direct gas and water shut off. * A no cost assessment of your facility. * It was designed to contain only the critical information needed in the event of an emergency. * Establishes SERVPRO of St. Cloud as your disaster mitigation and restoration provider. * Identifies the line of command for authorizing work to begin. 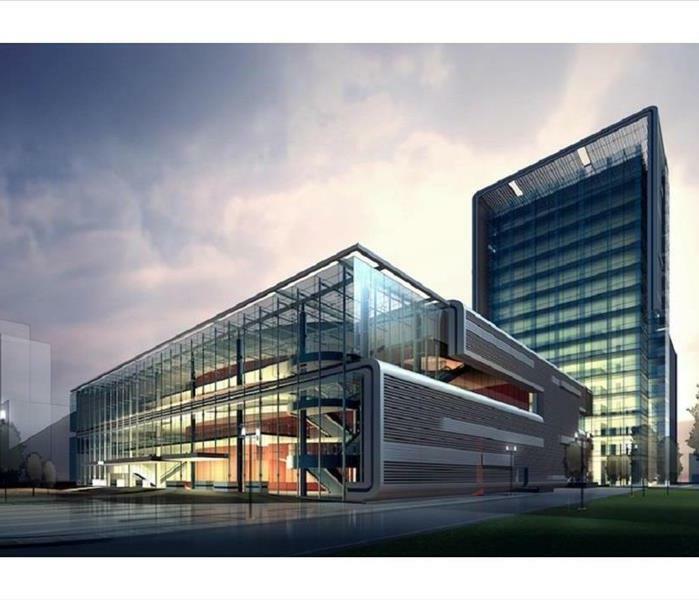 * Provides facility details, such as shut-off valve locations, important areas, and priority contact information. This is a free service, if you are interested in getting your business prepared call SERVPRO of St. Cloud at (320) 248-5400 to set up a time! We are available 24/7! Coldest temperatures in years, that some have NEVER experienced! The last couple of weeks, the Midwest has been experiencing what is being called the Polar Vortex. The Polar Vortex has brought extremely low temperatures and buckets of snow. It has been proven that the last time it was this cold was about 23 years ago, so several people that live in the Midwest have NEVER experienced this type of weather. That is why it is important to stay educated when the weather is changing so drastically. Not only can the weather affect your health, but your home as well. Within one’s home this can cause pipes to expand and burst. The expanding and bursting of a pipe in the home can cause significant flooding if one is not educated. To prepare for this type of weather, one should make sure to inspect their pipes. 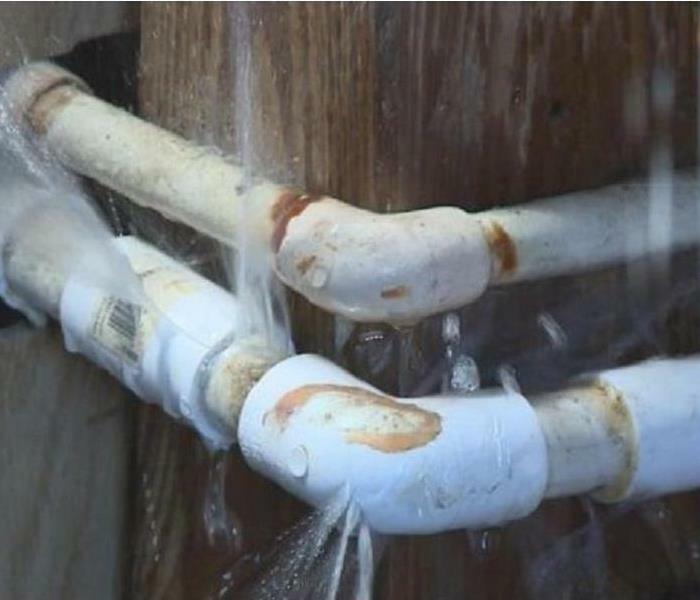 If a pipe needs replacing, be sure to do this before the cold weather hits. To prevent large water losses and damage, tag your main water shut off. One should tag their main water shut off to help everyone in the home know where to shut off the water if a pipe is to burst. Hopefully by doing this, one will be able to shut off their water immediately minimizing the loss or damage. If the Polar Vortex over hauls all of your preparing and preventing, take action by calling SERVPRO of St. Cloud immediately and we will be there to assist you. We area available 24/7 to ensure that one can be helped at any hour that they need. We are dedicated to helping others, call us (320) 248-5400 anytime! Do not let this be your pipes! SERVPRO of St. Cloud is here to help when a disaster strikes. We are also here to help you prevent disaster from striking. With all of the frigid cold temperatures occurring everyone needs to be taking the appropriate steps to prevent this. Any type of water line can freeze when it goes below 32 degrees. This occurs when the water inside the pipe freezes, the ice causes an increase in pressure, and when the pressure gets to high it bursts. One of the most important prevention tips is to make sure that your pipes are in optimal condition. This can be done by having a plumber inspect your pipes and replacing older pipes, if instructed. It is known that PEX tubing is more flexible than copper so it is less likely to freeze and burst. People leave for vacation all of the time throughout the cold season. If you are to leave your home make sure to keep it at least above 60 degrees. Some other habits to practice are run your ceiling fans in reverse, keep garage doors shut, close outdoor vents, keep interior doors open, and disconnect all outdoor hoses. Some areas in a home are not temperature controlled, that is why it is smart to add insulation to these areas. These areas can be the attic, basement, and crawl space. If the cold overhauls the prevention steps, call SERVPRO of St. Cloud to help at (320) 248-5400! We are available 24/7! Don't Let This New Year Start with Frozen Pipes and Water Damage! Pipes bursting in your home can cause problems. Let SERVPRO of St. Cloud help you! 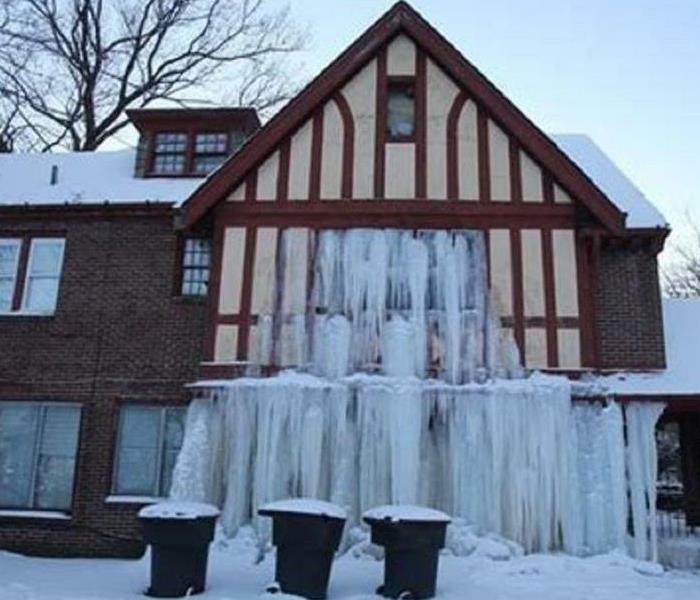 With the cold weather upon us, numerous businesses and homes suffer from frozen pipes and ice dams on their roofs. SERVPRO of St. Cloud specializes in storm and flood damage restoration. Our crews are highly trained and we use specialized equipment to restore your property to its pre-storm condition. When storms hit St. Cloud, Foley, Big Lake, Cold Spring, or Sartell and surrounding communities, we are ready to help! 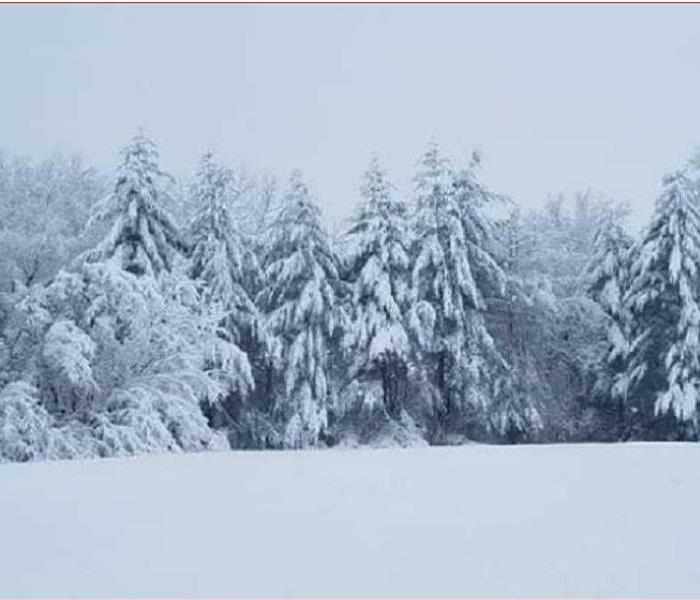 We can scale our resources to handle a large winter storm. We can access equipment and personnel from a network of 1,650 Franchises across the country and elite Disaster Recovery Teams. Therefore, no job is too small or too large to help you in your time of need. Have Storm or Frozen Pipe Damage? Call Us Today (320) 248-5400. 2/27/2019 - Vacation Season Is Here! 1/2/2019 - Don't Let This New Year Start with Frozen Pipes and Water Damage!